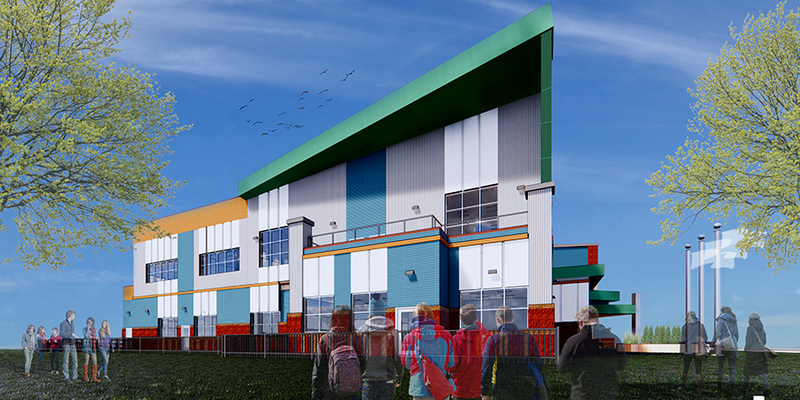 Berry Architecture is the prime consultant for a new middle school in Red Deer, Alberta which is currently under construction. The new school facility will have an opening capacity of 500 students and is being located on the current 25+ acre site. 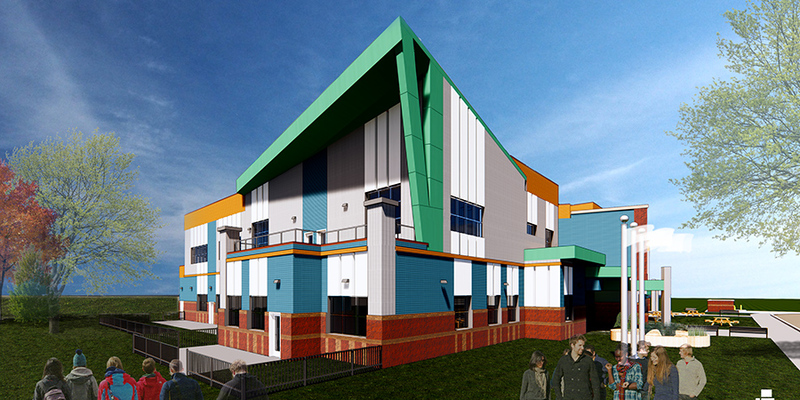 The current school will remain fully operational throughout the construction of the new school. The new school features in innovative design that will see the building itself function as a learning space which enhances the middle school curriculum and learning experiences. The design also focuses on spatial relationships within the school, with open-concept gathering areas, learning common, class-rooms, outdoor classroom spaces, and two-storey volumes. The design of the school featured the extensive involvement and input of the students throughout the design process, as well as a close relationship with a large and diverse design committee (which included student committee members). The project is LEED® Gold-targeted and will feature environmentally sound, energy-efficient systems and construction, as well as a green roof and appropriate plantings and landscaping. 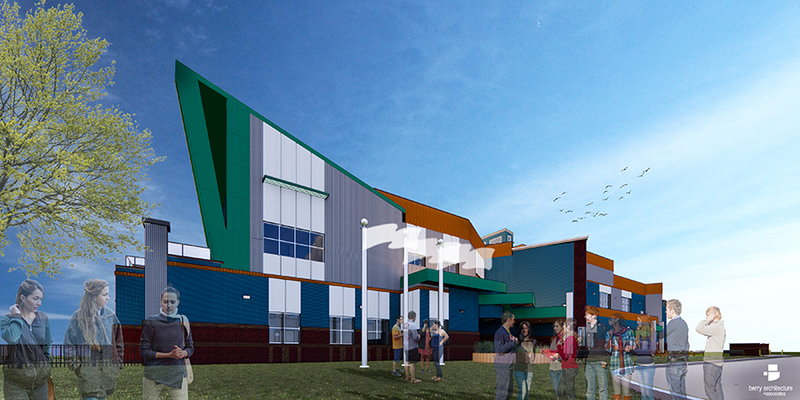 The school is also taking advantage of unique partnership opportunities with the City of Red Deer, Red Deer College, Red Deer Minor Baseball, and other community groups—these partnerships apply to both exterior and interior shared usages. The school is currently under construction.